fanz.com is the ultimate social media directory featuring direct media feeds to the top 100 facebook and twitter pages. FanZ proprietary platform provides a simple user interface where fans of celebrities, movies, music, tv, games, sports, games and brands can instantly connect. Fanz allows easy one click access to like or follow the top 100 as well as real time media feeds from facebook, twitter, youtube, flickr, google, amazon, and more. Fanz allows you to connect with groups of people from facebook and twitter who are fanz of the same things you are. Mr. Stevenson will lead the Company’s Corporate and Strategic Development efforts. He is the architect and designer of the Company’s software platform. He designed, implemented, and maintained custom social networks for well-known music performers including the Jonas Brothers, BOA, and Blake Lewis. Mr. Stevenson spent 15 years leading technology, software, network, and information management initiatives for large law firms throughout the US. Mr. Love is the financial manager of fanZ. A senior management veteran and successful Financial-Accounting Professional with extensive experience in financial, accounting, administrative and operations management. Mr. Love has served in senior leadership positions such as General Manager, Treasurer, Chief Financial Officer and Director of Finance for many fast-paced, multimillion-dollar organizations such as the Ohio Center and Tropicana Field. Mr. Six currently leads the development and programming initiatives for fanZ. He is the developer of the Company’s software platform. Mr. Six started a successful IT Consulting Company at the age of 19. He then helped Sprint revolutionize their call center operations by putting all forms online, and turning their call centers into a true paperless work environment. Mr. Wilson is responsible for the Company’s marketing strategy and implementation, including developing strategic partnerships with key advertisers, sports organizations and star athletes worldwide. 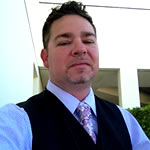 Jeff co-founded the Los Angeles based advertising agency (Deulofeu-Wilson) and served in developing the company for over 18 years. Jeff also generated business from such clients as: Gap, Forever 21, Sony BMG, DreamWorks, Frito Lay, and Pepsi. Mr. Abrams is the Strategic Advisor for fanZ. Mr. Abrams has deep experience in helping early-stage technology companies reach the next phase of growth. In 1999, he co-founded Intermix, the parent company of social networking leader MySpace. In 2005, MySpace was sold to News Corp. for over $575 million. In addition, Abrams was a founder of The Software Toolworks, which sold in 1994 to Pearson, Plc., for over $430 million.